Sydney (VNA) – The “Nouveau Cirque du Vietnam” (Vietnam’s New Circus) troupe made its Australian debut with a circus dance “A O Lang Pho” which delighted the local audiences. It was part of the Perth International Arts Festival (PIAF-2017), taking place in Western Australia from February 10 to March 5. Using simple and traditional items such as bamboo poles, woven rattan baskets and utensils, among others, the artists depicted the life in a Vietnamese village that is undergoing rapid changes. 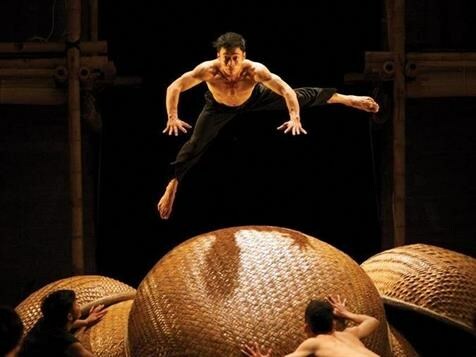 It introduced Vietnamese culture in an elegant and attractive way through sophisticated skills of contemporary circus. Having amazed the Australian audiences during ten performance shows, “A O Lang Pho” actually inspired the spirit of PIAF that delivers humankind’s cultural values while promoting different countries’ cultures to individuals. The circus dance was jointly created in 2012 by director Tuan Le, music director Nguyen Nhat Ly and artistic director Nguyen Lan Maurice and choreographer Nguyen Tan Loc. It has been played by 15 acrobats and five musicians for over 400 times at the Ho Chi Minh City Opera House since 2013.